Proven Thoroughbreds :: ​The Week Ahead FEB 11-17: KYLEASE with hoof on till! ​The Week Ahead FEB 11-17: KYLEASE with hoof on till! Promising filly KYLEASE will be out to go one better than her debut when she heads to Gosford on Tuesday. The Joe Pride-trained daughter of CHOISIR narrowly went down in a two-horse war on her home track of Warwick Farm last month, defeating the third-placed runner by almost four lengths. The three-year-old filly is expected to atone coming back to provincial grade but it's always hard to declare a maiden until they win! Comment: Gallant in defeat on debut at Warwick Farm last start. Free-running type and should find this much easier. Comment: Gets his chance to record an overdue win coming back in distance and grade. Can win with luck in running. 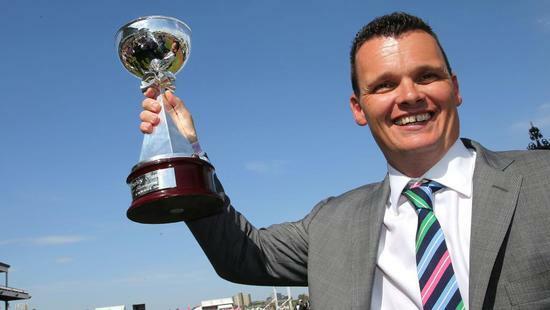 Comment: Excellent first-up run at the Gold Coast when beaten only half a length over 1200m. Extra distance has her right in the mix. Comment: Looks beautifully placed up to a distance in which she is expected to flourish. Should take some beating if she jumps on terms. Comment: Stays at 1100m after encouraging first-up run in unsuitable conditions. May be looking for further now but going well. Comment: Scratched last start due to foot abscess. Trialled since and can sprint well fresh. Comment: Coming back in trip and grade after peaking on run in 1500m Highway race at Rosehill. Can certainly atone here. Comment: Caught wide with a big weight first-up and stuck on ok. May need the run second-up as he prepares for longer trips. Comment: On debut after three trials this time in. Looks well suited first-up over 1400m.